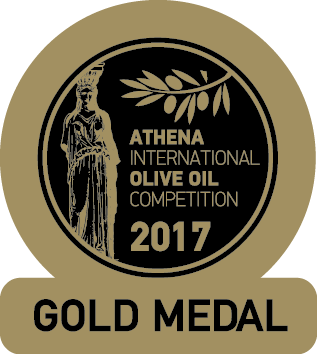 Held annually, the ATHENA International Olive Oil Competition highlights the significance of competing in the age-old homeland of the olive; Greece; the world’s third largest olive oil producer and the first one in extra virgin olive oil production. 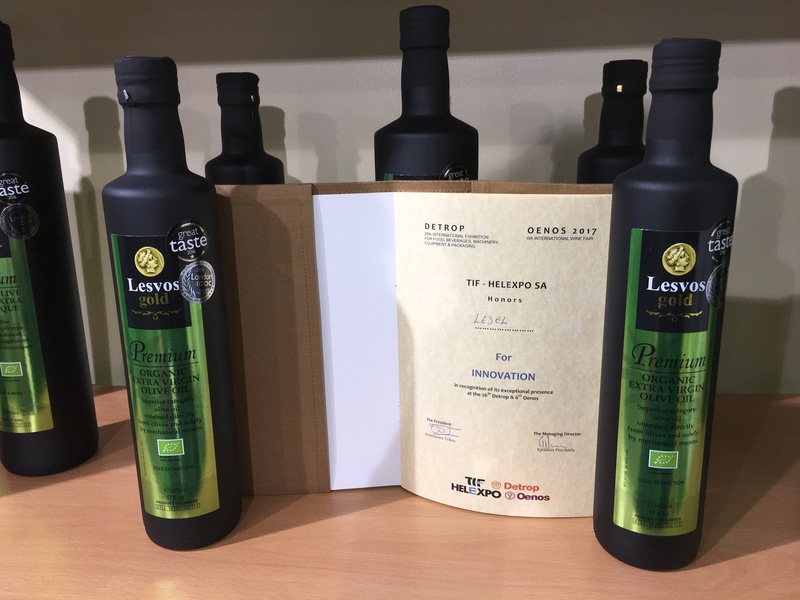 There, Lesvos Gold® won the gold medal and was named the best Aegean olive oil as well as the best "Kolovi" monovarietal olive oil. 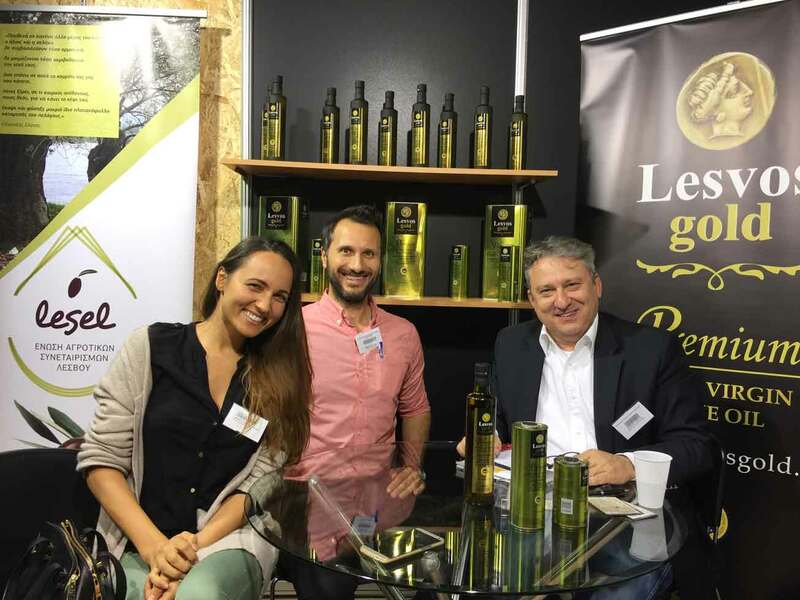 Lesvos Gold® team promises to continue doing its best so that the Greek olive oil and in particular Lesvos olive oil is internationally distinguished and receives the recognition it deserves! 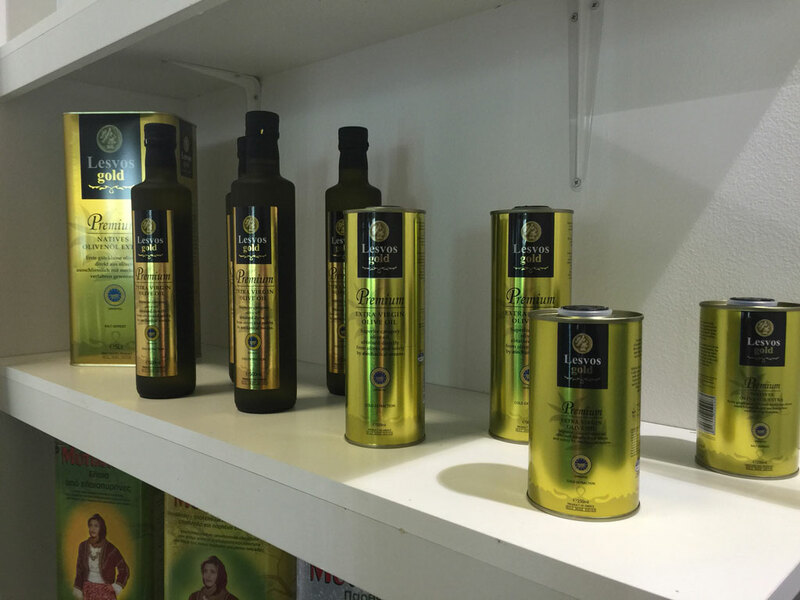 Lesvos Gold© premium Organic extra virgin olive oil was introduced to the Greek public for the very first time, at the 26th Detrop Boutique in Thessaloniki, where it was awarded! 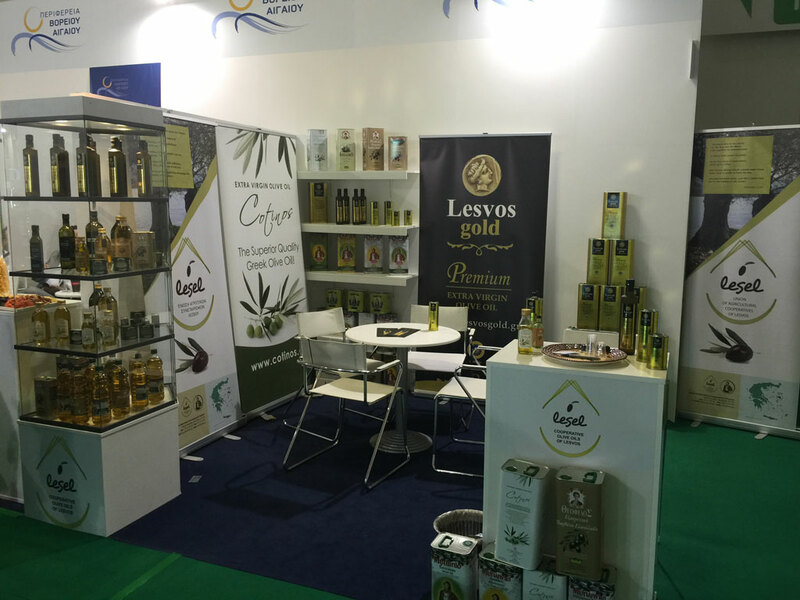 We are more than delighted with the warm welcome exhibition visitors have given to Lesvos Gold® bio! 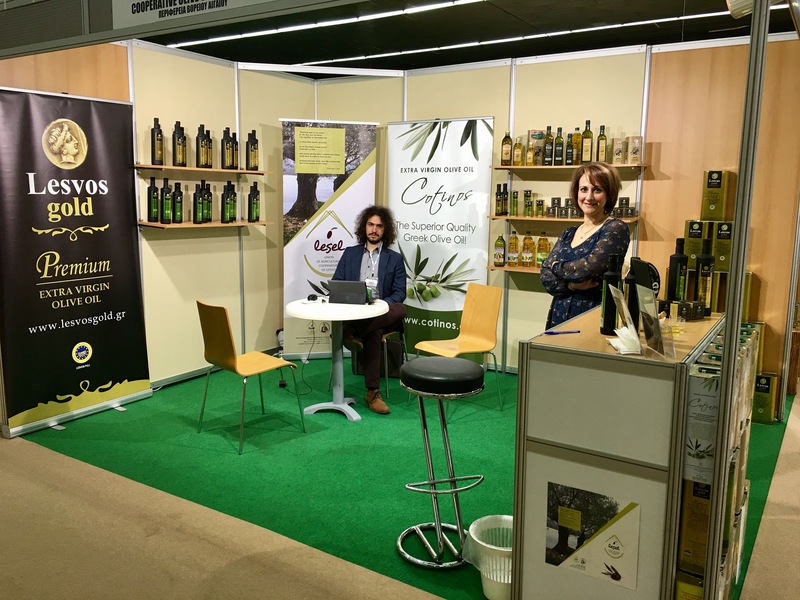 We do continue dynamically by creating unique products of Lesvos nature! More and more people are impressed by Lesvos island treasures! 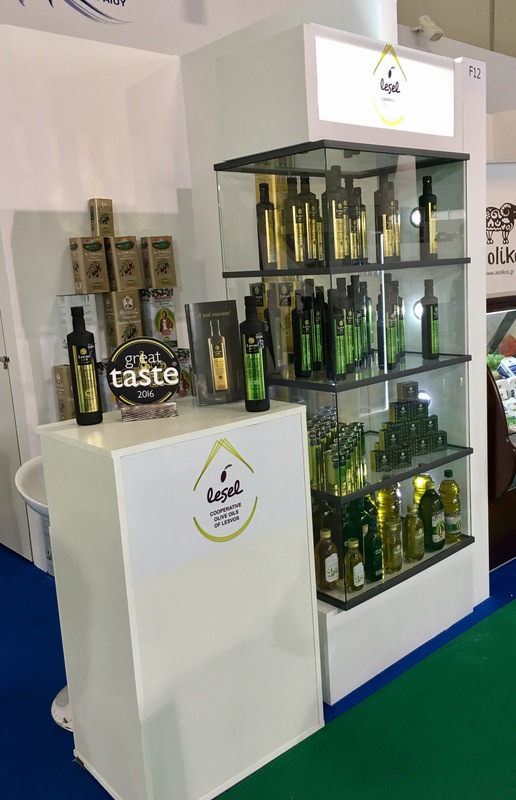 Lesvos Gold© premium extra virgin olive oil as well as Lesvos Gold© premium extra virgin olive oil bio revealed their utmost secrets to the visitors of the 4th FoodExpo held in Athens METROPOLITAN EXPO. 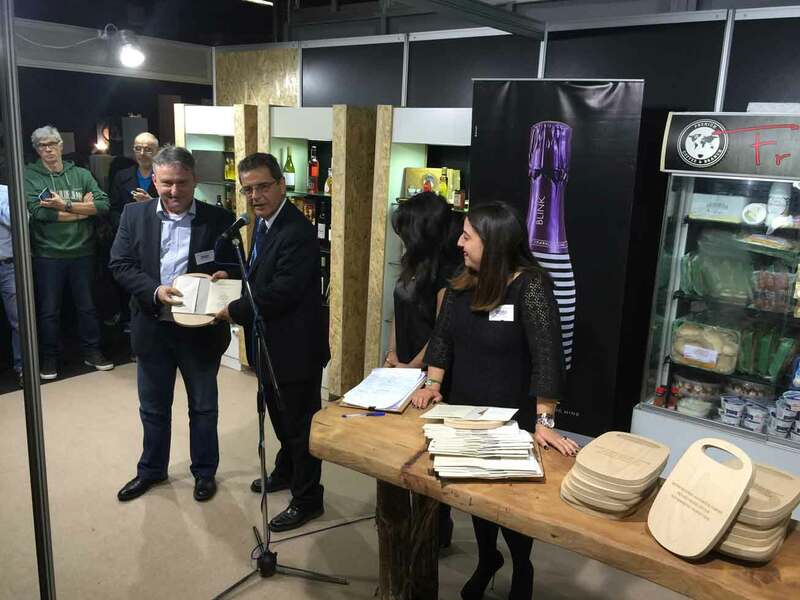 More than 2,500 international visitors were surprised by the looks and taste of Lesvos gastronomic treasures. 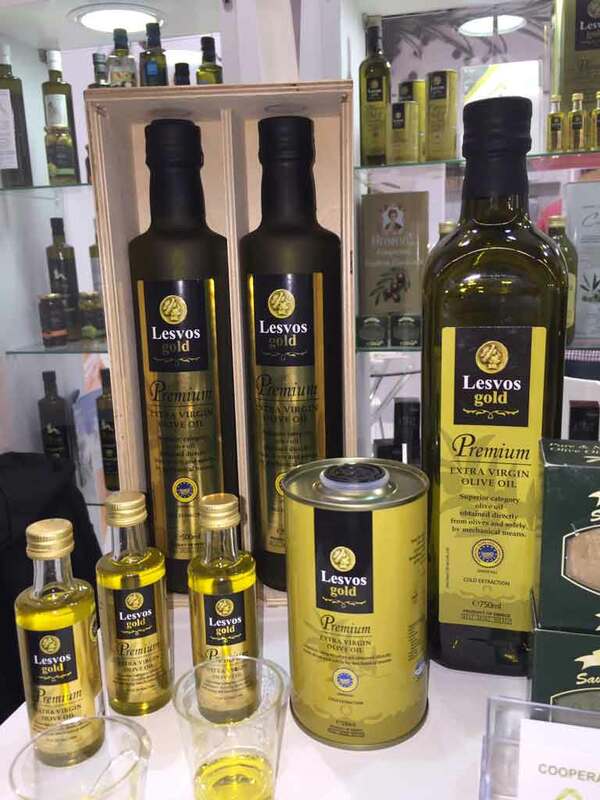 If you don’t believe us, then, just try out Lesvos Gold© premium extra virgin olive oil line yourselves and let your senses travel across our beautiful island. 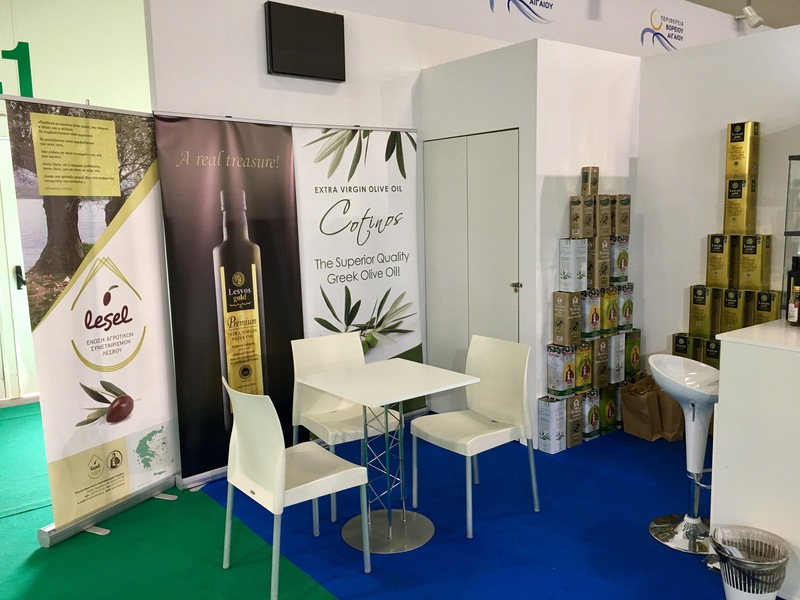 This October more than 7000 exhibitors and around 155.000 visitors of SIAL Paris had the privilege to been introduced to Lesvos Gold® premium extra virgin olive oil. 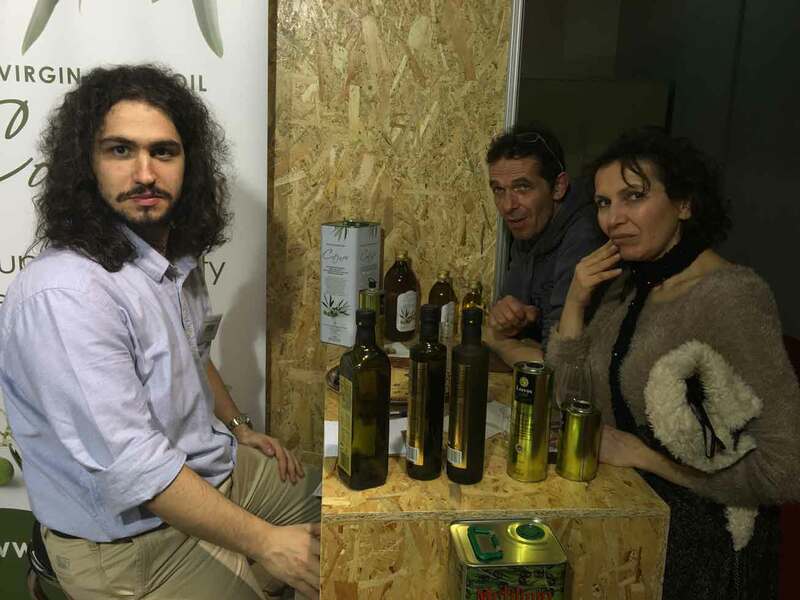 And, all of them, had something nice to say about Lesvos island real treasure looks and taste! 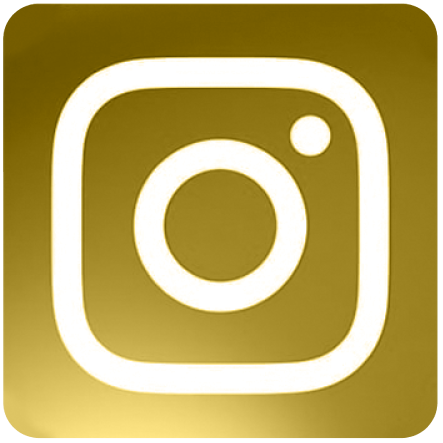 We said we are committed to keep up with the good work and try every day harder and harder to offer only what’s best, and we mean it! We will not compromise with anything less. 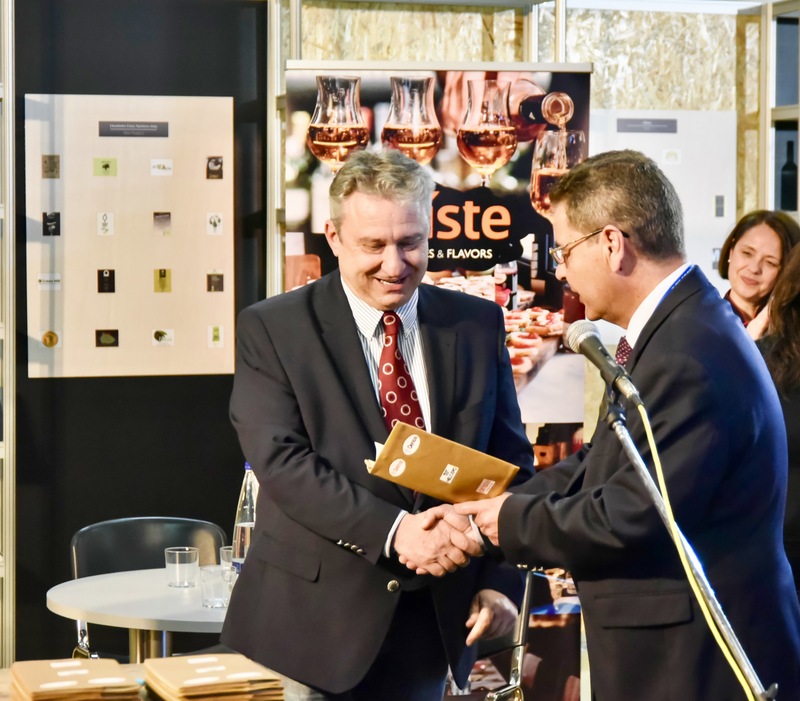 This year over 400 judges, including specially trained food writers, came together at 49 judging days from March through to early July to decide which food and beverages worldwide have the greatest taste. 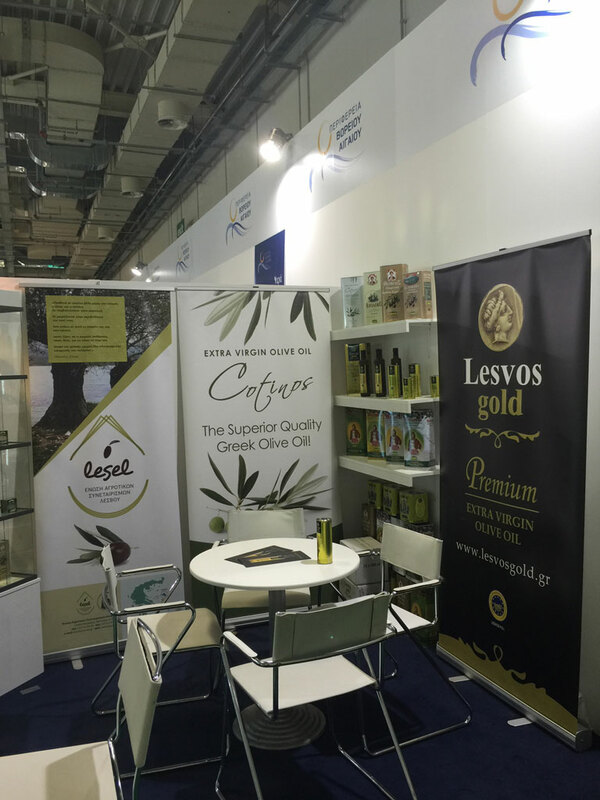 And, Lesvos Gold® did it once again!!! 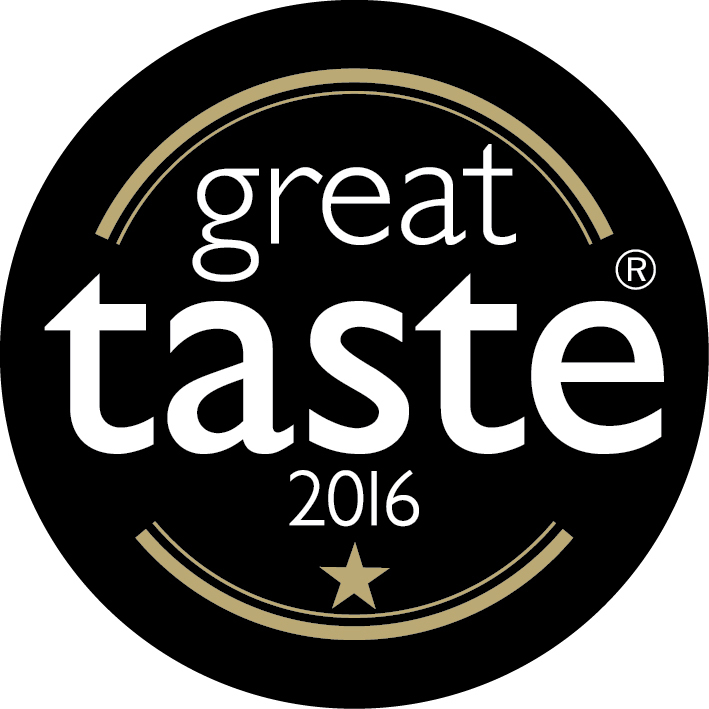 A Great Taste star is ours! 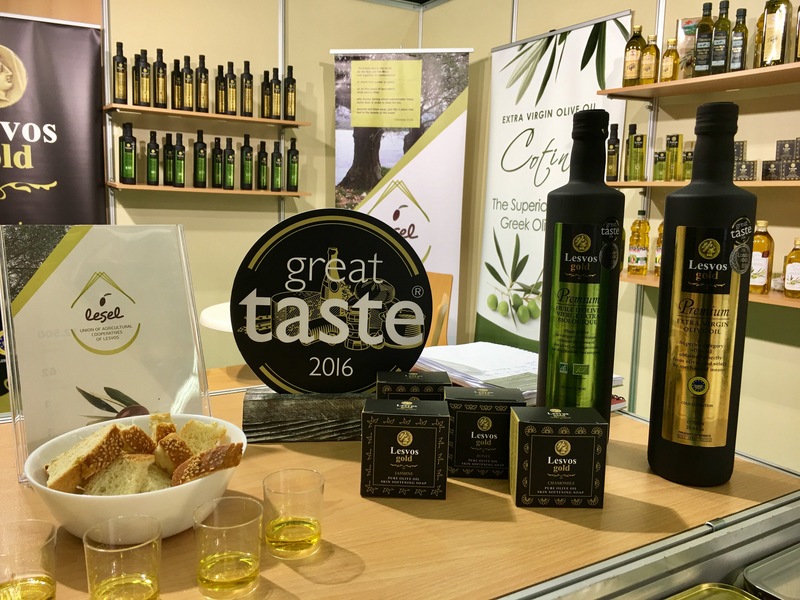 What judges said about our Lesvos Gold® premium extra virgin olive oil? 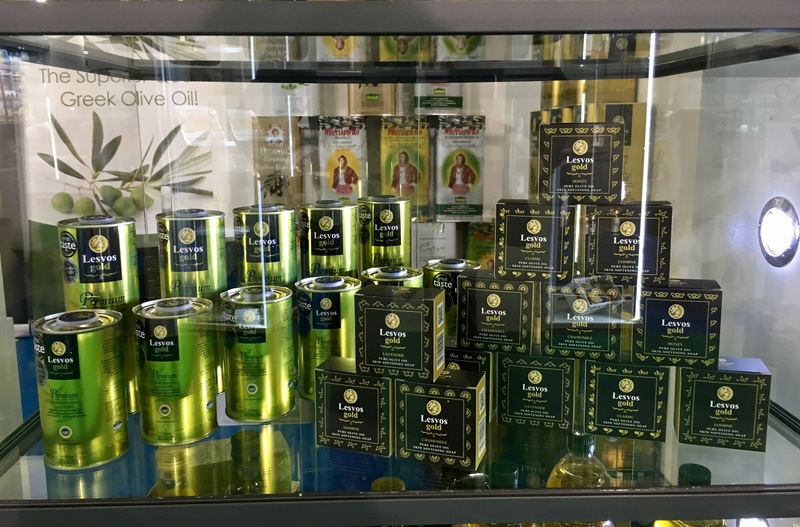 Appealing green-gold clarity. Bright, fresh, grassy notes on the nose. There's an upfront freshness and fruit, along with some nuttiness, though bitterness and a pepper spike kick in quickly. The pepper does also recede however leaving some pleasing fruit on the palate. 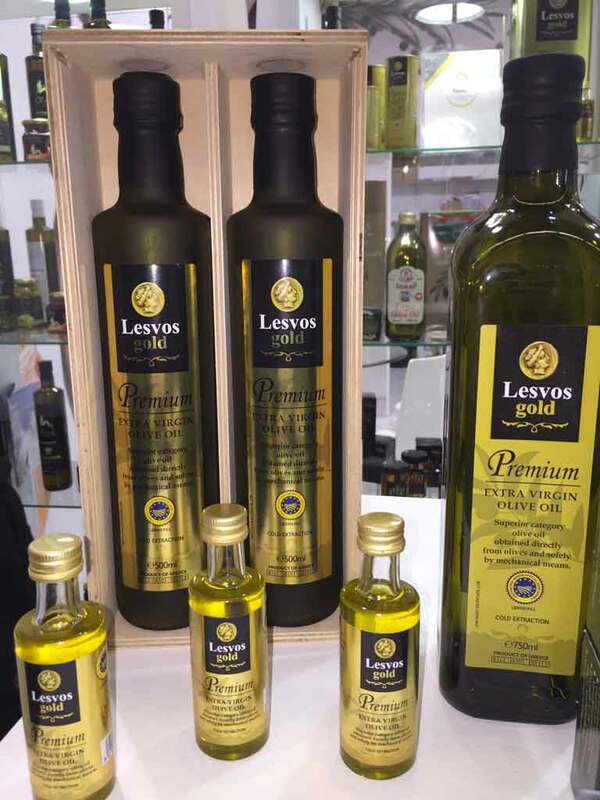 Lesvos Gold® premium extra virgin olive oil, traveled with its flavor and aromas all those in London who voted it among the top olive oils worldwide! 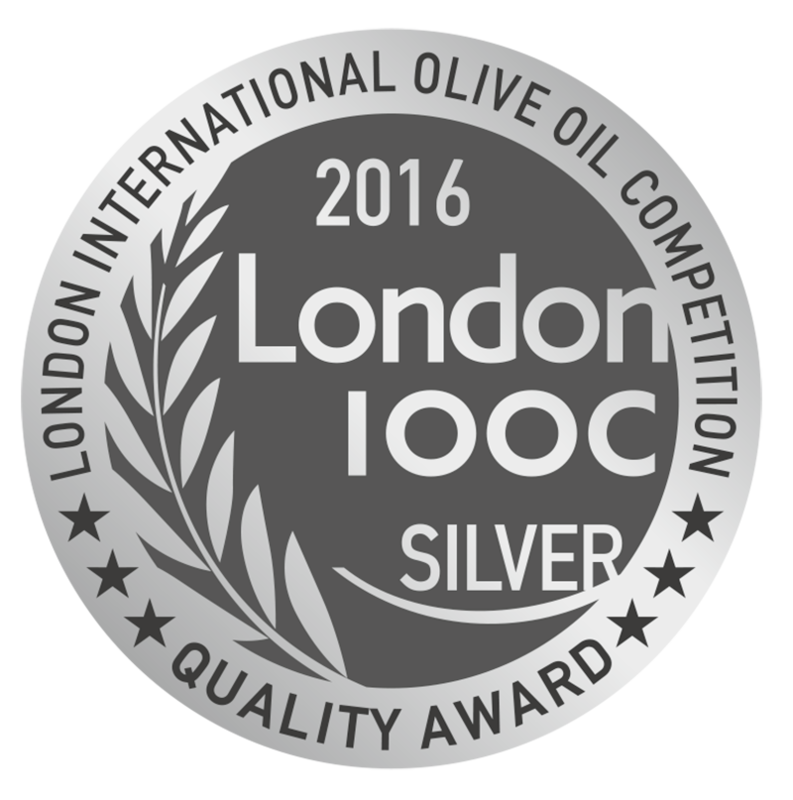 London was the meeting point of the best olive oil producers in the world due to the international olive oil competition held there. 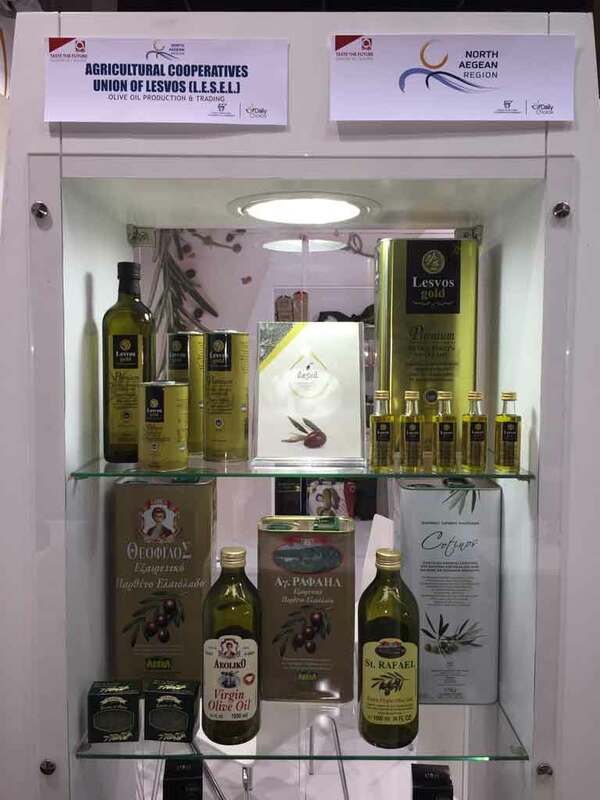 Important olive oil representatives and experts of the world scene, were there to vote for the best quality products. 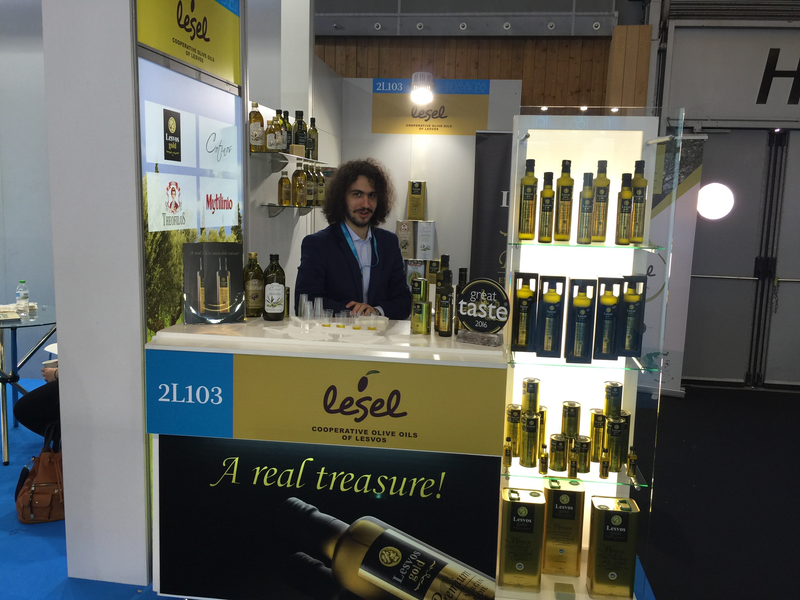 We feel very honored and proud that our "treasure" was rewarded with the silver medal. We, promise you to do our best and go for the gold next year! 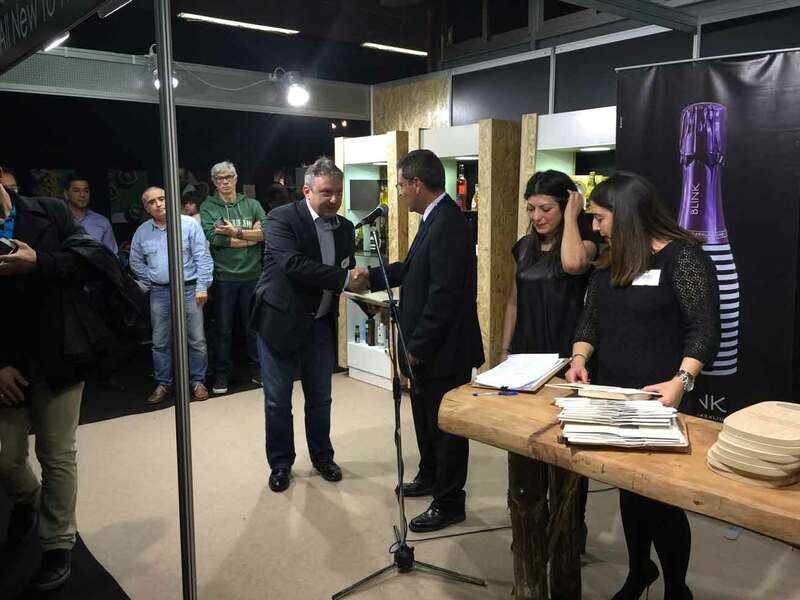 More and more people are impressed by Lesvos island treasure! 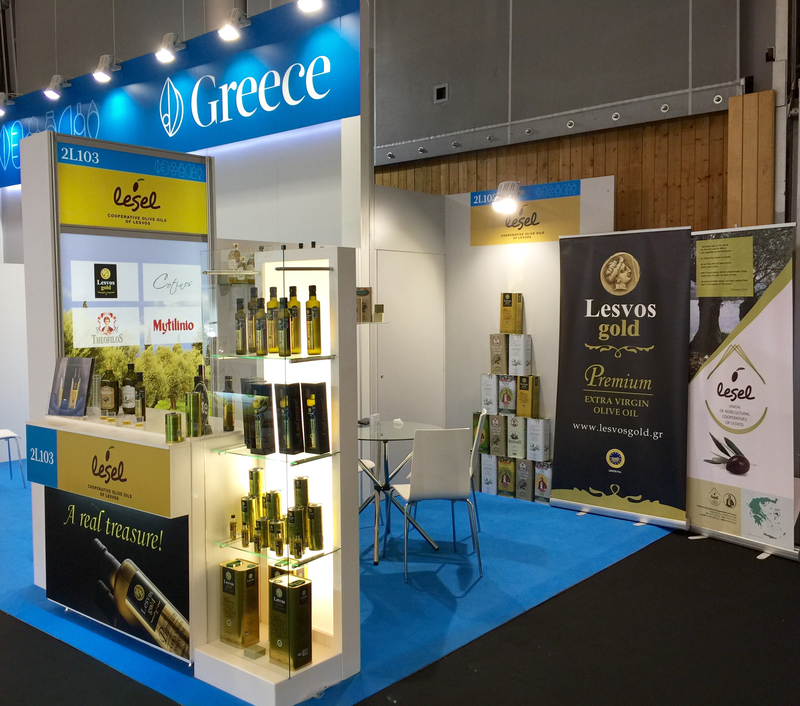 Lesvos Gold® premium extra virgin olive oil revealed its utmost secrets to the visitors of the 3rd FoodExpo held in Athens METROPOLITAN EXPO. 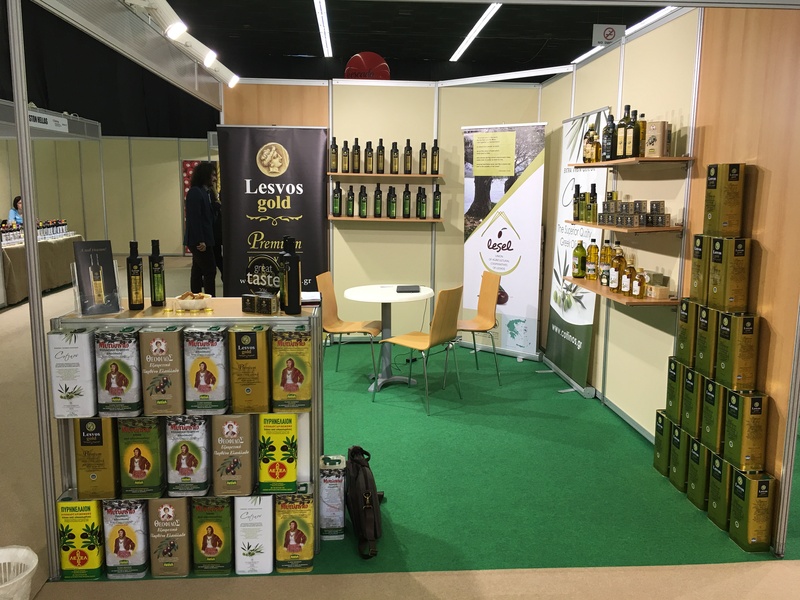 People from Belgium, Cyprus, Greece, the Netherlands, Russia and the UK were surprised by this Greek premium extra virgin olive oil looks and taste. 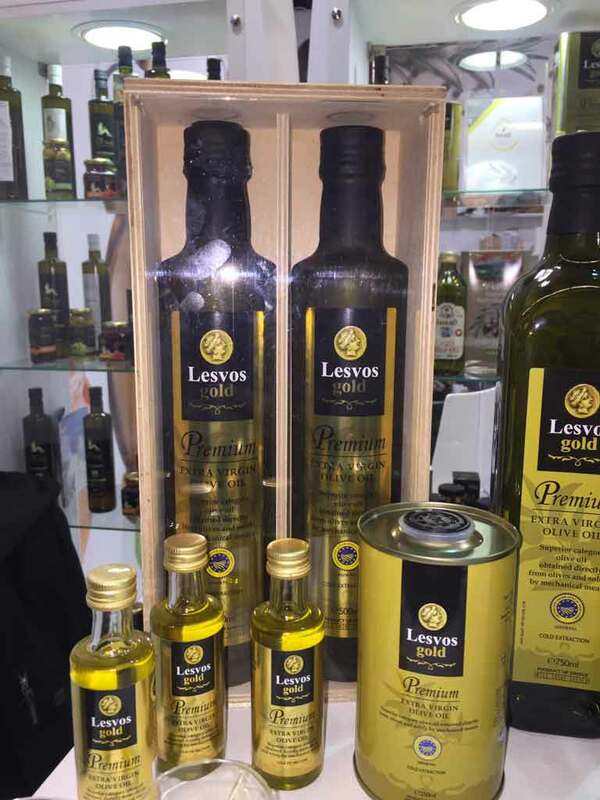 If you don’t believe us, then, just try out Lesvos Gold® yourselves and let your senses travel across our beautiful island. 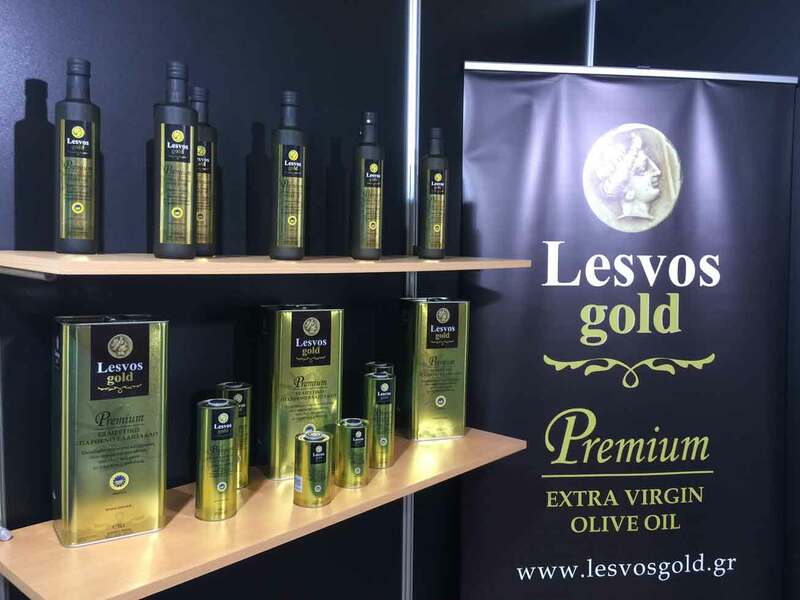 Our first appearance in a Greek Exhibition at the 25th Detrop Boutique 2016 in Thessaloniki to share with you our treasure; our precious Lesvos Gold© premium extra virgin olive oil. 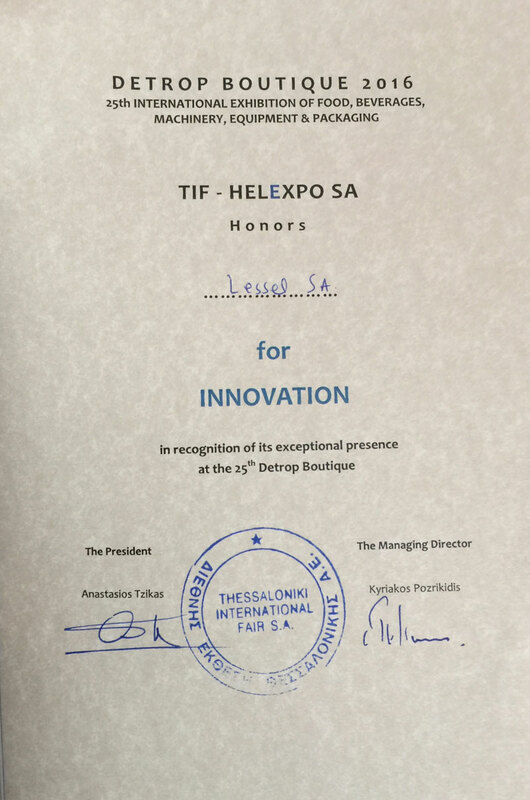 First appearance in our home, Greece, and YOU the Hosted Buyers, honored us with "The Innovation award in recognition of our exceptional presence". 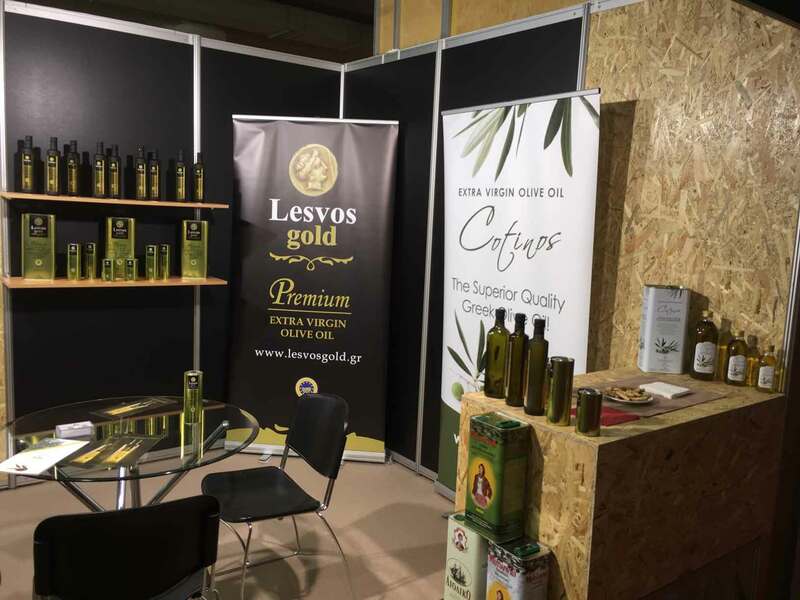 We, Lesvos Gold© team, thank you for appreciating this unique extra virgin olive oil and promise you to keep up with the good work. Shhh.can you keep a secret? 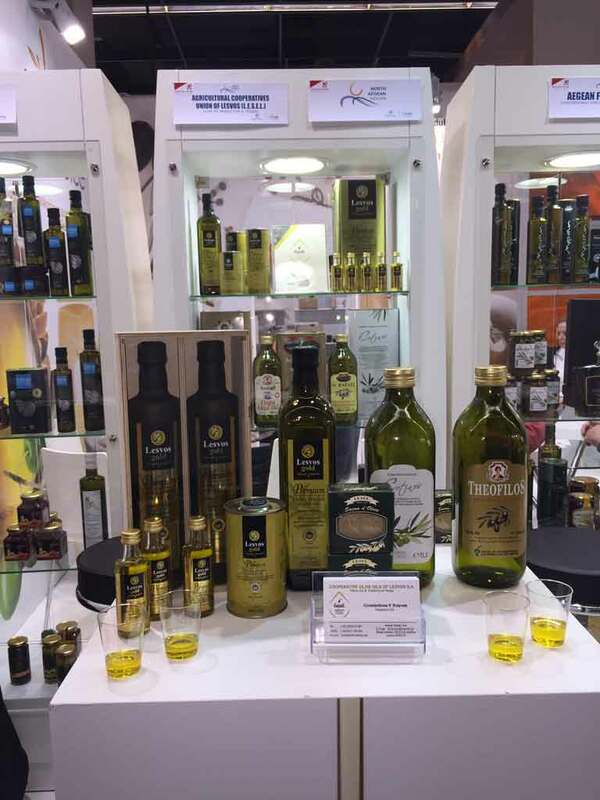 First global appearance for Lesvos Gold® at Anuga, 2015 in Cologne, Germany where olive oil connoisseurs welcomed us expressing their absolute satisfaction and delight for Lesvos Gold® taste and appearance. 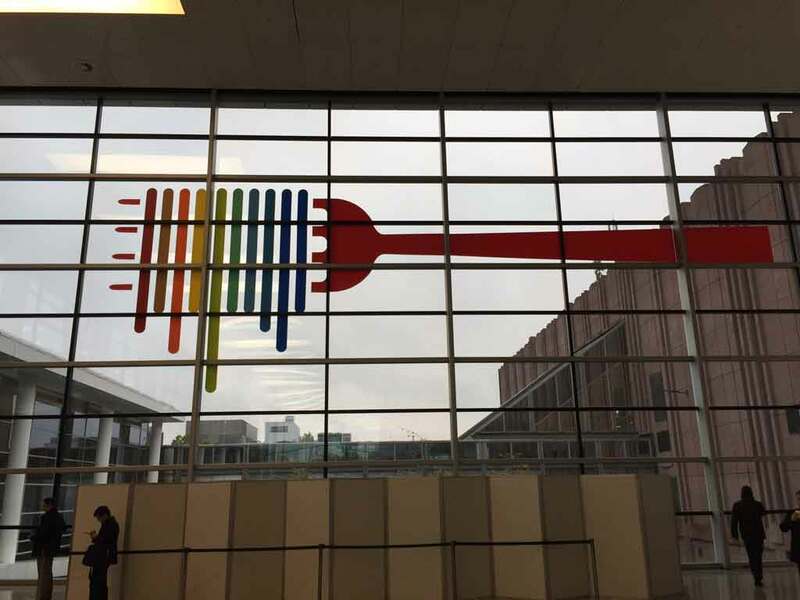 Among 6.777 exhibitors from 98 countries in 284.000sqm exhibition space, our treasure was an ultimate revelation!